Forget Winter, It’s Raining Tequila! Celebrating rain is rarely a formula for success for tourism promotional campaigns, but Mexico has come up with an ingenious gimmick to lure more German visitors. 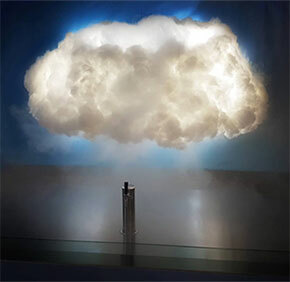 Germany is the second biggest export market for Mexican tequila, so in collaboration with advertising agency Lapiz, the Mexico Tourism Board invented a device that turns the iconic spirit into a cloud that literally rains tequila. Drinkers then hold out their shot glasses, wait for the downpour and take a sip. And for those who simply can’t wait , there is a spout beneath the cloud. "The tequila was pushed into an invisible plastic structure where sprays of tequila mixed with the vapor formed the cloud," Luciana Cani, executive creative director at Lapiz, told The Huffington Post. "With the plastic, we created a base the vapour could form around, but the most important function of the plastic was to work as a condensation surface for the tequila mist." The stunt has certainly attracted attention, and Mexico tourism leaders hope it helps work up a thirst for travel.